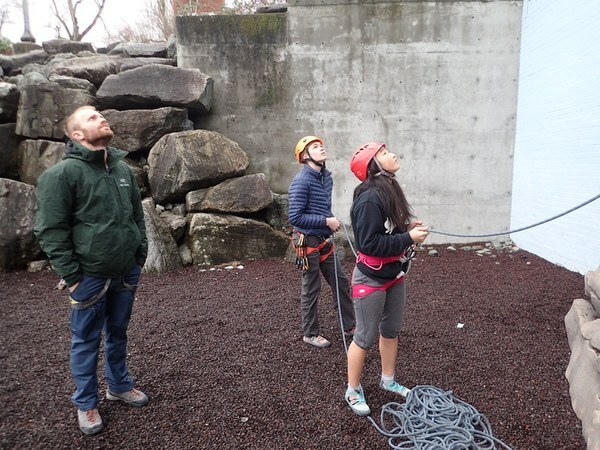 Learn about the partnership between The Mountaineers Adventure Club (MAC) and The Seattle Climbing Team, designed to help them share skills and learn the value of their own accomplishments. One of the core elements of our mission at The Mountaineers is to engage future Mountaineers. Many of our members may not know about everything we do to foster youth involvement in the outdoors, and we hear that some people are surprised to learn about our robust youth program, which has three distinct parts: outreach programs (like Mountain Workshops and our Gear Library), school break camps, and year-round outdoor clubs. One of these year-round programs is The Mountaineers Adventure Club (MAC). 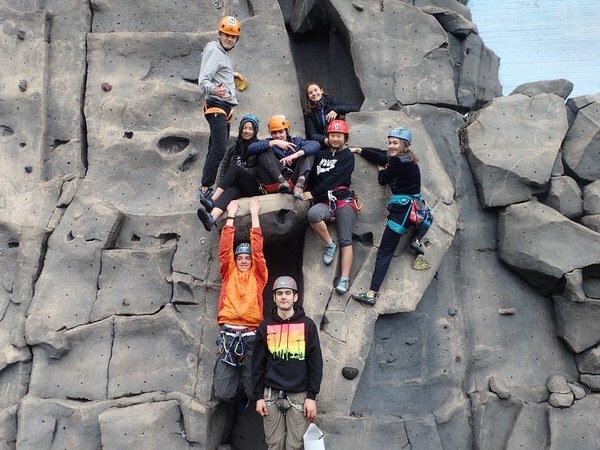 Designed for teens aged 14-18, MAC includes a wide variety of outdoor activities and focuses on developing strong alpine climbing skills. 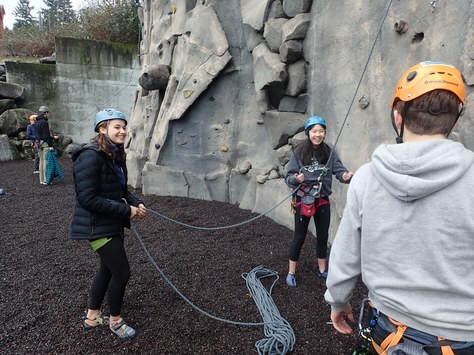 MAC members have the opportunity to participate in a yearly skills exchange with the Seattle Climbing Team (SCT), the youth climbing team at the Seattle Bouldering Project. The goal of this partnership is to give SCT members the chance to learn lead, multi-pitch, and other alpine climbing skills while allowing MAC students to learn the fundamentals of bouldering, structured climbing training, and advanced movement and footwork techniques. Throughout February and March, the two groups alternate hosting weekly skills sessions. MAC has unparalleled technical climbing skills and SCT members are some of the strongest climbers in town, creating a natural fit for this partnership. The coolest part of this skills exchange? The students plan, lead, and teach all of the workshops! At the first workshop of the season, SCT members learn how to lead climb, as many of them are too young to learn lead climbing in a gym but need the skill to participate in competitions. This happens to be the reason the partnership was created. Though Mountaineers staff supervise these climbing skills workshops, MAC students are doing all of the instruction themselves. 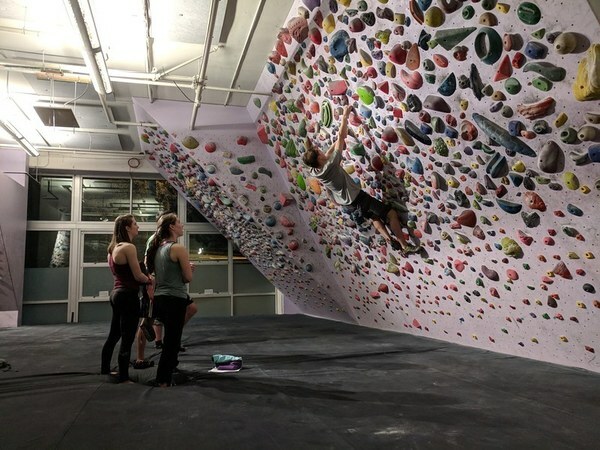 Following that initial workshop, MAC members go to the Seattle Bouldering Project every other week to learn key climbing techniques, including movement and safe falling, proper warm-ups, training protocols, hangboarding, campus boarding, and most importantly, injury prevention. These bouldering sessions are planned, organized, and led by SCT team captains and open to all MAC members. MAC then hosts workshops at our Seattle Program Center to teach multi-pitch climbing, the basics of trad climbing, and to provide an in-depth look at group trip planning. The partnership between MAC and the SCT represents just one small way The Mountaineers is inspiring the next generation of climbers, mountain lovers, and conservationists to get out and safely enjoy the wonders of the Northwest. It's a truly unique program – not only do students come away better climbers, but their confidence receives a massive boost at a critical time in their development as they understand the depth of their own skills and their ability to impart that knowledge on others.